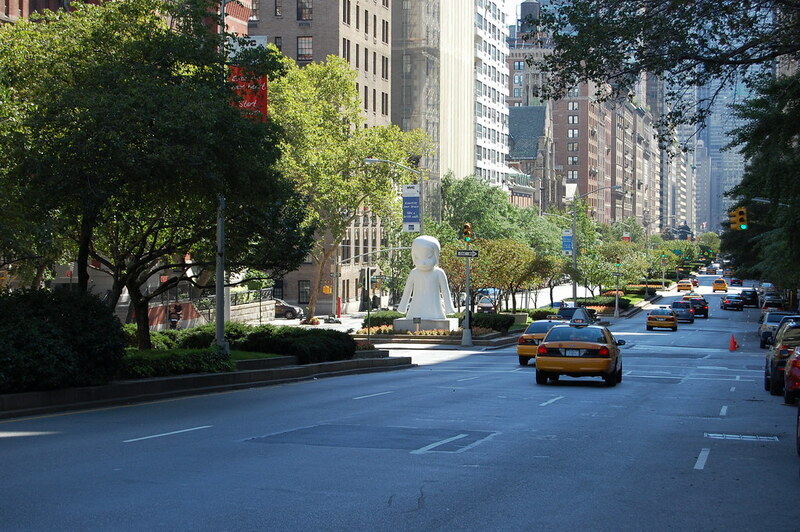 Yoshitomo Nara's show at Asia Society doesn't open until Thursday, but his outdoor installation on Park Avenue is already in place. 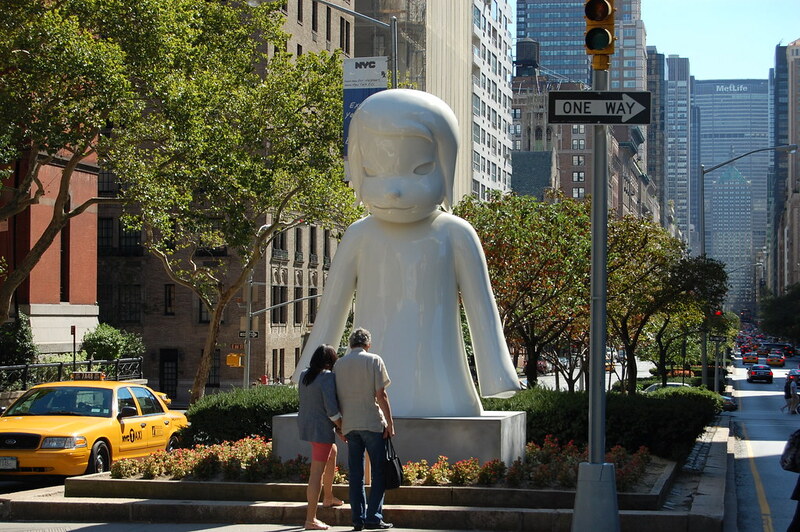 The work, White Ghost, comprises two 12-foot-tall sculptures made of fiberglass and steel that face each other from pedestals on the median that runs along Park. 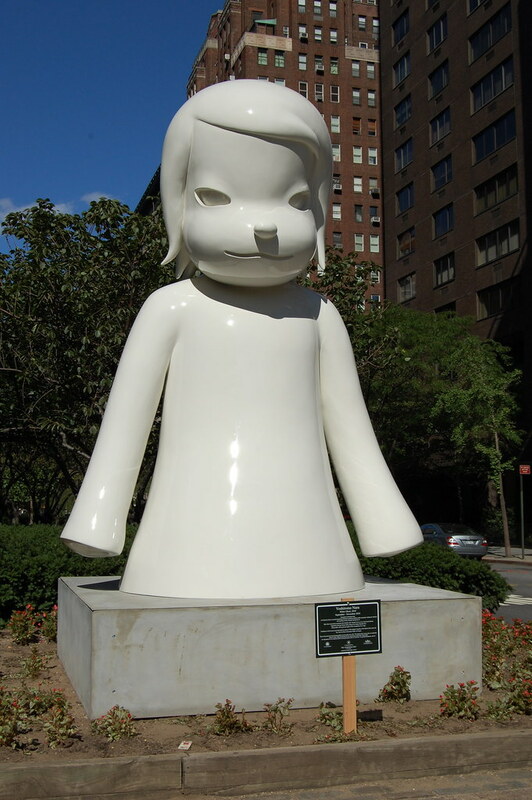 One is at 70th Street, right across from Asia Society, and the other is at 67th Street, in front of the Park Avenue Armory, where Nara worked on finishing touches for the show. 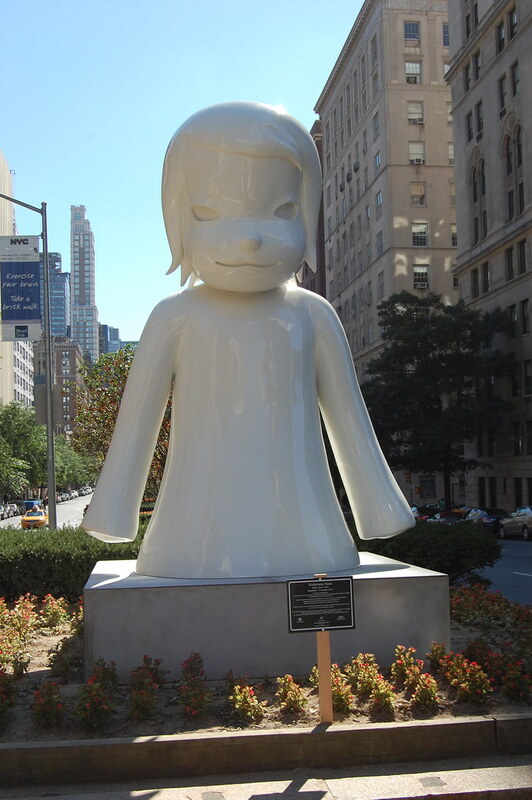 The sculptures are presented by Asia Society, the Art Production Fund, the sculpture committee of the Fund for Park Avenue, and the New York City Department of Parks and Recreation. Asia Society has some nice shots of the installation of the pieces.